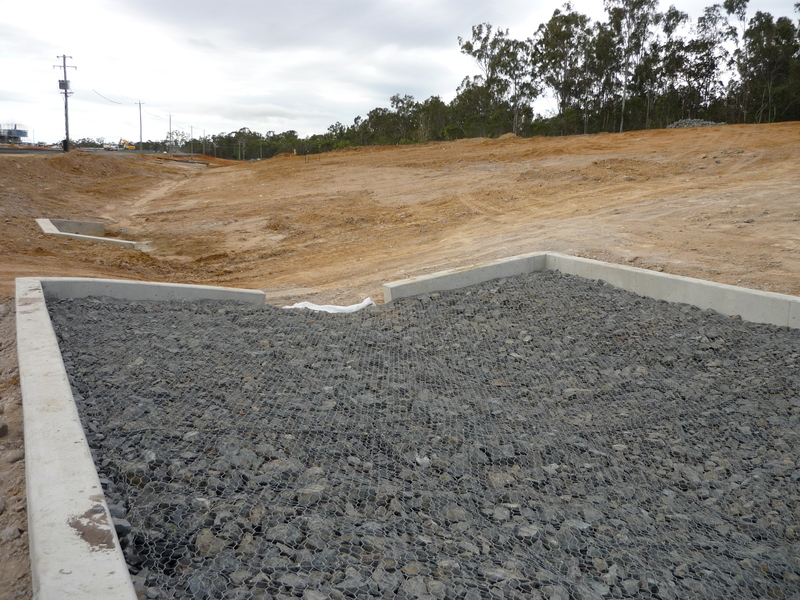 Link Mattresses provide a highly versatile solution of earth retention and erosion protection for designers and contractors in a wide variety of applications. Link Mattresses are used in a wide of hydraulic structures. 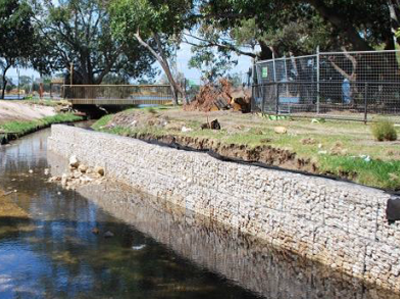 Rock Mattresses are a “thin” gabion and traditionally have been used in applications such as creek and channel linings where long term scour is an issue. The confinement of appropriately sized stone within a mesh effectively increases the resistance of such rock to scour for a given flow condition. Rock Mattress products are typically supplied in plan area of 6m x 2m with varying thickness products ranging between 0.17m to 0.3m. Rock mattresses be supplied as either a heavily zinc coated, Galfan® unit or may be supplied with an additional layer of plastic coating over the zinc coated, Galfan® wire to afford additional protection in locations where corrosion is likely to be a problem.